﻿ The Suite Hotel Gyeongju, Gyeongju-si | FROM $87 - SAVE ON AGODA! "Very good hotel,near to town,but in nice spot by lake"
Have a question for The Suite Hotel Gyeongju? "The Hotel is in a Golf Resort, quiet & leafy area." "Near to Bomun Lake, it is a restful place to stay." Renovated in 2010, the The Suite Hotel Gyeongju guarantees guests a pleasant stay whether in Gyeongju-si for business or pleasure. The hotel lies from the city center and provides accessibility to important town facilities. For those of you who want to venture out, Bomun Lake, Bomun Tourist Zone, Gyeongju World Amusement Park are just some of the attractions available to visitors. Offering hotel guests superior services and a broad range of amenities, The Suite Hotel Gyeongju is committed to ensuring that your stay is as comfortable as possible. The hotel offers access to a vast array of services, including free Wi-Fi in all rooms, 24-hour front desk, luggage storage, Wi-Fi in public areas, car park. 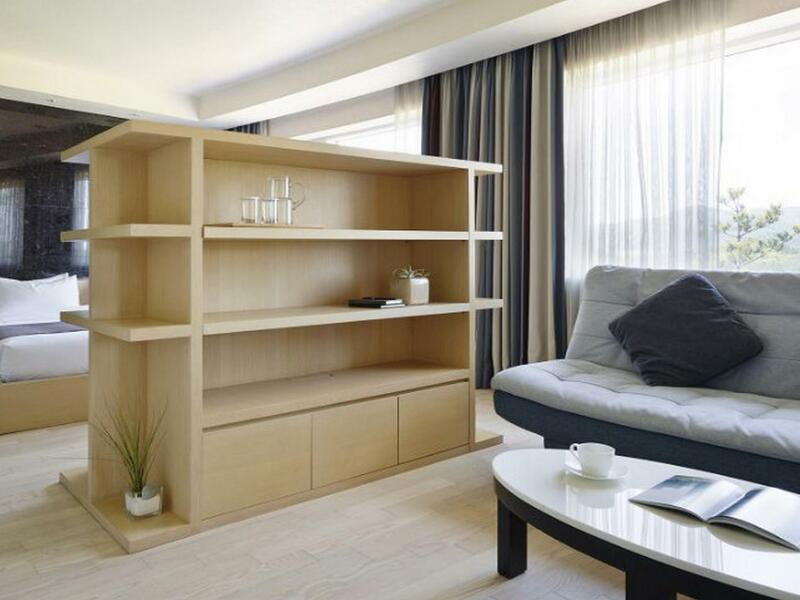 The Suite Hotel Gyeongju is home to 34 bedrooms. All are tastefully furnished and many even provide such comforts as television LCD/plasma screen, complimentary instant coffee, complimentary tea, mirror, towels. The hotel offers fantastic facilities, including mini golf course, hot tub, golf course (within 3 km), tennis courts, garden, to help you unwind after an action-packed day in the city. 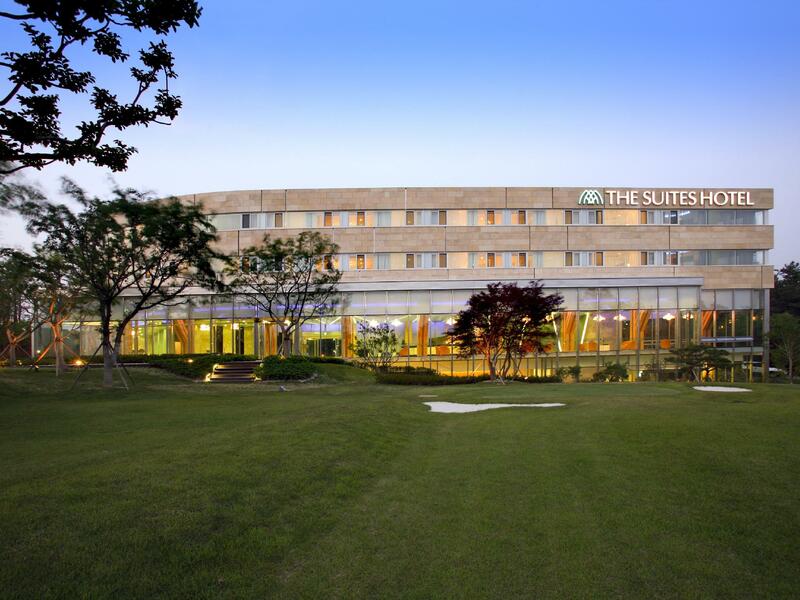 The Suite Hotel Gyeongju is your one-stop destination for quality hotel accommodations in Gyeongju-si. clean, kindly, calm.. access easy. The staff weren’t particularly welcoming. We weren’t allowed to check in until precisely 3pm despite the hotel being seemingly empty. The rooms were a decent size but almost completely taken up by a double and single bed. The bathroom was spacious, but damp and moldy between tiles and up the roller blinds. The bathroom door was difficult to open. The bed sheets had a rip in them. The dining area is connected to the reception all on a large open plan. This unfortunately meant that breakfast in the dining area was drafty and cold. The breakfast selection and quality of food was very good. We enjoyed the mini pastries and wide selection of cold and hot food stuffs. When booking the hotel, one of the deciding factors was the modern and nice looking swimming pool when reviewing the photos online. However, on checking in we were advised that the swimming pool wasn’t located on site and was subject to a surcharge. This was misleading at best. Overall, not great. 1. The swimming pool picture in the hotel is missed leading. You have to go to a adjacent fitness group and pay to use it. 2. The AC is network control so you have to tell the front desk office everyday to turn it on for you. Hotel's environment is good. Quite and peaceful. Near to Bomun Lake, it is a restful place to stay. Room is spacious and clean but the kettle provided is very dirty. We enjoyed the Korean style bed. Near to teddy bear museum but not a walking distance from the hotel to the city center. The staffs are helpful and polite but limitation to speak others language. The Hotel is in a Golf Resort, quiet & leafy area. The staff was friendly & helpfull, even though they speak only a smattering English. Our room was spacious facing the golf course. However, it was a Korean-style room without bed, only a thin futon on the floor. It was so uncomfortable for all of us that none of us had a comfortable sleep. Alas we all woke up with body aches. Also, the location is rather far from tourist attractions & restaurants. the hotel needs renovation. the sound of aircon from other rooms was heard loudly at night, not to mention my room's own. The room was great. It was clean, comfortable, and big. The hotel is on the quiet side of the area. If you walk down to the boardwalk, it only takes about 10 minutes...driving, less than 3 minutes. Overall a great place to stay. Room is spacious, bathroom is spacious too. However, the room smells stale. Variety of breakfast is wide, with prompt & attentive service from the staff. very satisfied to comfortable room. In Ondol type room, space was so wide in spite of keep the burden on floor side by side. We really enjoyed our stay at The Suite Hotel. The room was quite big and clean. We loved the spacious bathroom and tub. The staff are very courteous and helpful. The breakfast buffet was excellent. Our purpose of the trip was to relax and unwind, so the quiet peaceful environment at The Suite Hotel was perfect. We will definitely go back. Clean, nice colors, great bathtub. this was a very modern hotel with a great muted colors. there was a fabulous bathtub and large tv. not too many other conveniences, but great for a short term stay.